Rosalind Lastinger has been cooking for over sixty years. Rosalind developed from a novice to an advanced and gourmet cook. The book itself is for intermediate cooks and has three hundred recipes that range from easy to advanced, with some easy gourmet thrown in. Over the course of her journey, she has both refined her own recipes, as well as learned others from the people in her life. 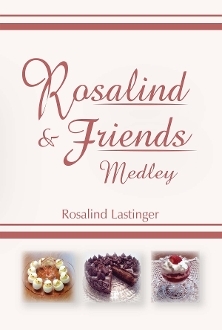 Rosalind & Friends Medley collects many of the recipes Rosalind was given by her friends and family members, who in turn often received these secrets from generations past. She hopes that everyone will enjoy this medley of recipes as much as she has.